Oh no. My yoga class is canceled today because of Labor day. Some times you have to make some changes in your schedule. I am going to find a place to go through the Ashtanga primary series on my own. Most likely in my home. My blog yesterday caused something to surface with me. I was talking about how happy and balanced I felt. About 20 minutes after the post I started to play mind games with myself trying to beat myself up. This is nothing new to me, and is an old habit. I have been a sober addict now for the last 8 years. In my drug days I would drink or use to beat myself up. This would beat me both physically and mentally. Once I stopped drinking and using drugs the mind set of beating myself up was still there. I have figured it out over the last 8 years and am now very much aware when I do it. It still can sneak up on me though. This time I caught it really quick and it only lasted about 20 minutes. Yoga means something different to everyone. Yoga to me is a place where I can dive deeper into myself, emotions, and physical body. The mat is so important to me because it is a place where I do the complete opposite of beat up myself. I find love and acceptance. When I quit drugs and drinking to me this was just the beginning. Once the haze of masking my problems lifted only then could I dive in deeper. Yoga is a perfect place to open up your mind and look deeper into your state of mind. Yoga unlocks places on my body that have locked up emotions. This is a hard thing for me to describe, but the more flexible I become the more of these locks I seem to unlock. I have left class with so many different emotions. I have cried on the mat, been extremely happy, even angry. Other times my emotions feel completely balanced after I leave the mat. To me these are emotions that have been locked up in my body and released through yoga. I do not know how else I could explain it. I am curious about my other addictions that I have. I still drink about 2-3 cups of coffee a day. I am looking into stopping this starting September 9th and seeing if I feel anything. This is a vice that has kept me content since I became sober so I am a bit hesitant. I am not willing to say I will give it up completely. Just going to experiment a little with it now. Maybe caffeine is holding onto something in my body. I have talked to so many people about their addictions. I am determined that only you know what is healthy or not healthy for your body. Others will tell you that they believe. I would suggest to look into your soul and ask yourself what you think. If you know it is unhealthy what are the reasons why you are justifying that it is ok you do it. We all have something that we are addicted to. Some healthy and some not so healthy. There are several ways to stop these addictions. 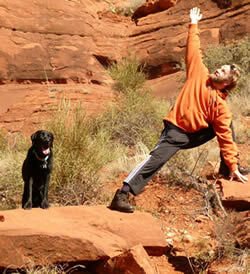 I also know several addicts that have used yoga as a tool to help stay on a clean path. I of course recommend yoga, but also highly recommend another form of therapy to help dive into your emotional swings. Try to use professionals rather then family members as this can cause conflict. Life is a great journey. Are you bringing pain and suffering to your body and mind? Or are you looking to bring love, simplicity, and joy into you life. Please comment or email me with your thoughts.